An alarming new adaptable gene that can turn several common germs and types of bacteria into superbugs, resistant to almost all antibiotics, has infected people in the United States — California, Massachusetts, and Illinois. Originating in India, the superbug is thought to evolve due to the overuse and incorrect use of antibiotics — encouraged by over-the-counter sales of antibiotics in South Asia. Each of the patients that was infected had been to India prior to their arrival to the United States and has been effectively isolated and treated. However, there continues to be cause for concern that this superbug will spread in the U.S. When most people hear the word “superbug,” they think of MRSA, a bacterial infection highly resistant to some antibiotics that has been found in hospitals for years, but MRSA can be treated. 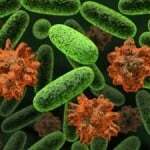 The new superbug, however, has acquired a gene (NDM-1) that renders it resistant to almost all antibiotics. The bacteria first attack the digestive system and then enter the blood stream, potentially causing multiple organ failure. At this time, the most effective way to control the spread of these new drug-resistant bacteria is to diagnose it and quickly isolate the patient. Physicians should maintain heightened awareness in patients who have recently traveled to India or Pakistan. The CDC advises any hospitals that find such cases to put the patient in medical isolation, check the patient’s close contacts for possible infection, and look for more infections in the hospital. If you have encountered this new superbug in your practice we would welcome comments here.